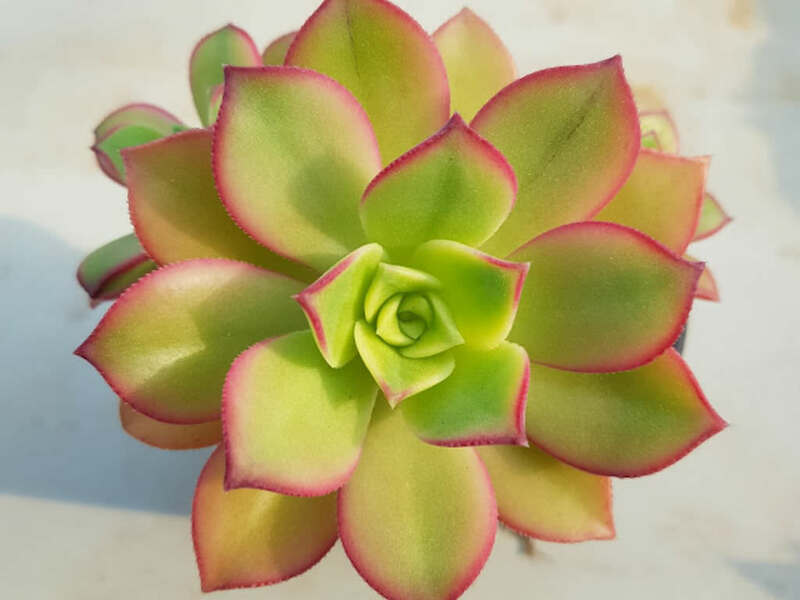 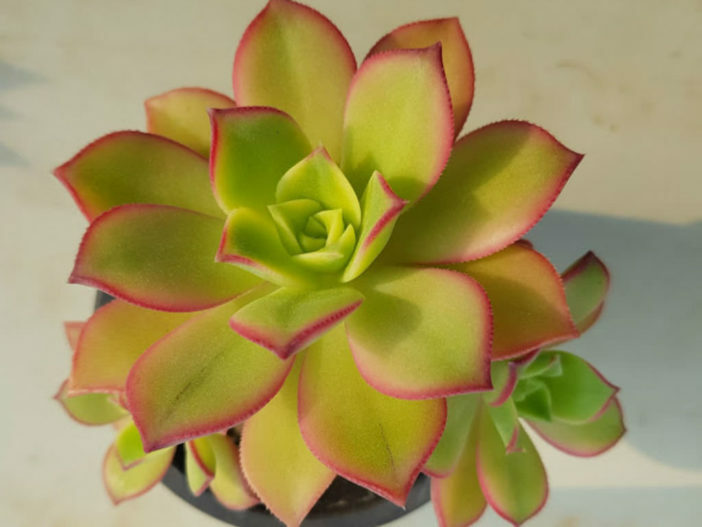 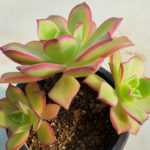 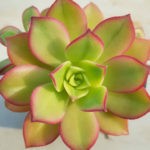 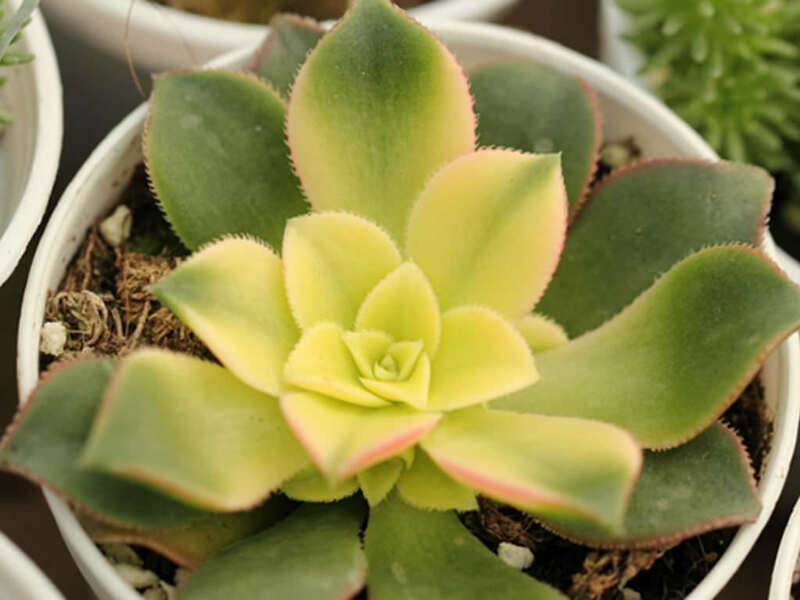 Aeonium decorum f. variegata is an evergreen, perennial, densely branched shrub up to 2 feet (60 cm) tall, with up to 3 inches (7.5 cm) wide rosettes, clustered on thick branches. 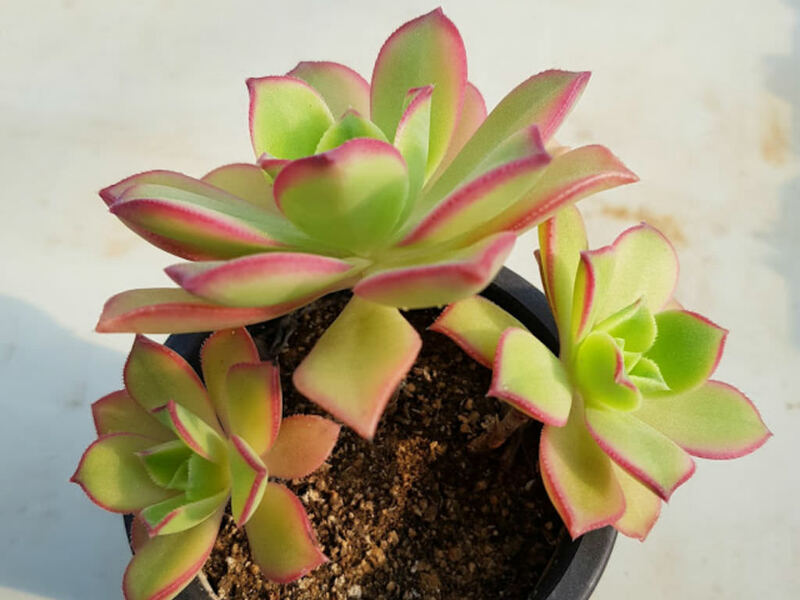 The leaves are obovate to lanceolate, pale green luminous white variegation, up to 2 inches (5 cm) long and 0.6 inch (1.5 cm) wide, with orange-red tones and red leaf margins. 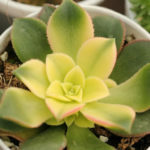 The inflorescence rises above the foliage, bearing small soft pink flowers.